Applicable space: living room, bedroom, study, work office, hotel, store and other places. Tips: 1. Since crafts are used for decoration, please be careful when placing them to ensure that you use them for a longer period of time. 2. Try to avoid direct sunlight for a long time or soak in water for a long time to ensure that the product is not damaged. 3. It is recommended that you place it in a relatively safe place to avoid damage. You can also present to your family or friends to showcase your unique taste and enjoy art life together. Handmade, unique resin products, each product is carefully crafted and worthy of collection. 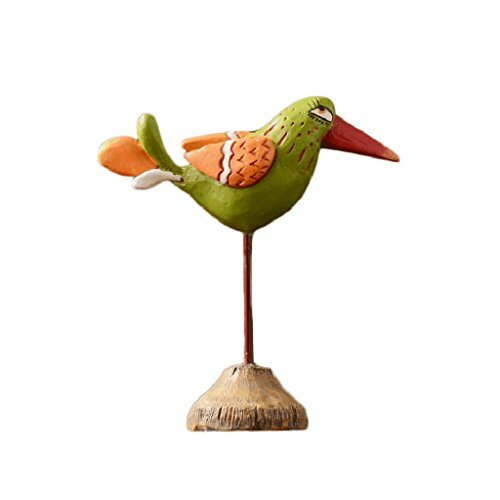 Bird animal sculpture, hand-carved, color hand-painted, simple and unique shape, with a high decorative aesthetics. If you have any questions about this product by HGXC, contact us by completing and submitting the form below. If you are looking for a specif part number, please include it with your message.